“A memoir-vivid portrait of a vertiginous affair” (Vogue) for readers of Jenny Offill, Garth Greenwell, and Anne Enright, an unforgettable novel about a young American expat who settles in Ireland, marries, and lives through the consequences of an affair—by “an extravagantly gifted writer” (Rachel Cusk). 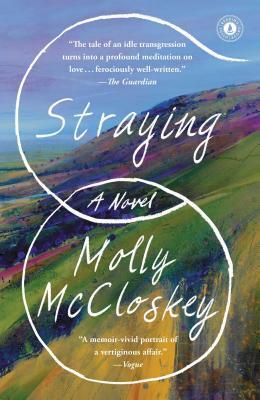 In this “humane and lucid novel” (The New York Times), Alice, a young American, arrives in the West of Ireland with no plans and no strong attachments. She meets and falls in love with an Irishman, quickly marries him, and settles down in a place whose customs are unfamiliar. And then, in the course of a single hot summer, she embarks on an affair that breaks her marriage and sets her life on a new course. Years later, in the immediate aftermath of her beloved mother’s death, Alice, having worked in war zones around the world, finds herself back in Ireland, contemplating the forces that led her to put down roots and then tear them up again. What drew her to her husband, and what pulled her away? Was her husband strangely complicit in the affair? Was she always under surveillance by friends and neighbors who knew more than they let on? “Short, intense, and emotionally precise” (Star Tribune, Minneapolis), Straying is at once a “ferociously well written” (The Guardian) account of passion and ambivalence and an exquisite rumination on the things that matter most.